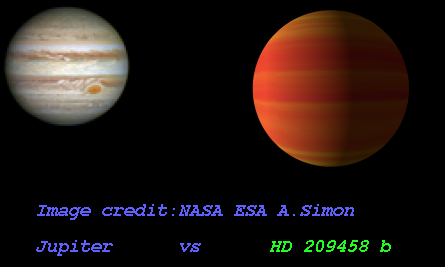 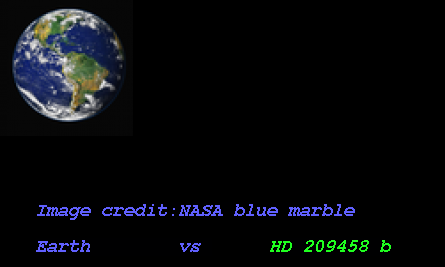 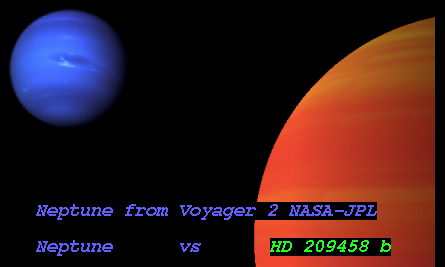 Discovery Paper - Authors "David Charbonneau , Timothy M. Brown , David W. Latham , and Michel Mayor "
HD 209458 b is an exoplanet orbiting the star HD 209458, located about 153.3 light-years (47.0 pc) away from Solar System. 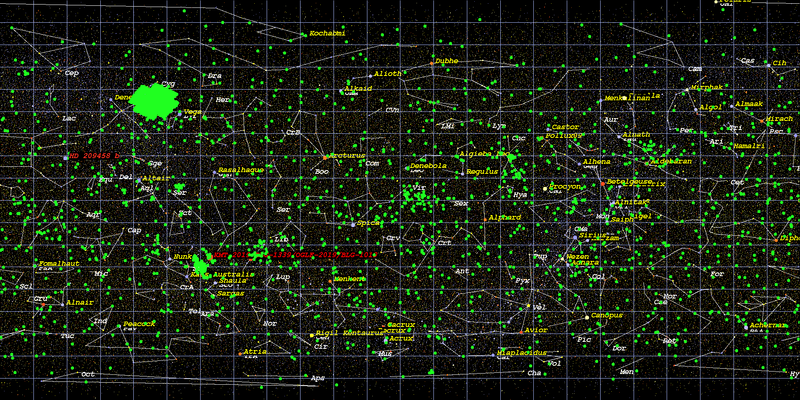 Its discovery was publicly announced on 1999. 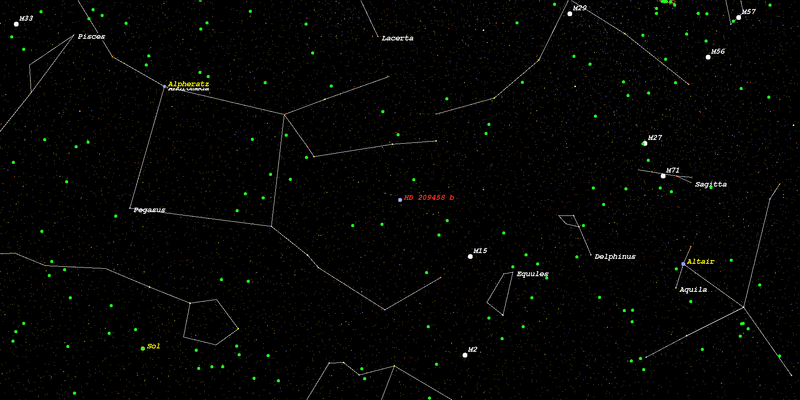 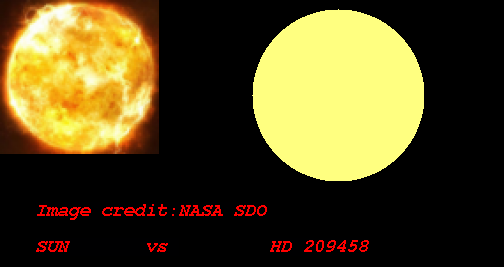 The host star HD 209458 has apparent magnitude of 7.7, with absolute magnitude of 4.3.